Italy has been a revelation on so many levels. Litter, what litter? The places we have visited have been spotlessly free of litter. Elevation. So many towns and villages are situated on hilltops or high on hillsides. We are unsure whether this has to do with temperature inversion (warmth in winter, cool in summer), or security. The visual results are breathtaking. Whilst walking the Pisa city walls a guide explained how the canal was built between the mountains and the proposed city site. The canal provided water for the city, powered mills but most importantly provided the conduit for gondolas and boats to bring rock for building purposes. Looking at what was built with this rock provided much cause for reflection on JZ’s comment than Jan van Riebeeck was the worst thing that happened to South Africa? Italy is renown for its food, and we certainly have enjoyed some wonderful meals here. Given the amount of starch generally, we are surprised at the scarcity of overweight locals. For South Africans, Florentine T-bone steak springs to mind, ordered and paid for in increments of 100 grams. We enjoyed our best meal thus far at Altea Ristorante in Pisa, alongside the River Arno. Italians generally are good-looking, slim and well-dressed. Tolerance of tourists is humbling. In Florence, all car hire companies share one drop-off depot. A very busy place indeed, with taxis waiting just 100 meters away for tourists’ convenience. Thankfully the extra insurance was not required, despite regular gasps at the close proximity of trees, walls, scooters and pedestrians. Rome never got the memo, apparently. Litter, noise, traffic assaults the senses upon arrival. What a stark contrast from the Italian experience we have loved thus far. Perhaps what strikes us most is the lack of happy, smiling, relaxed faces, which have epitomised our tour to this point. 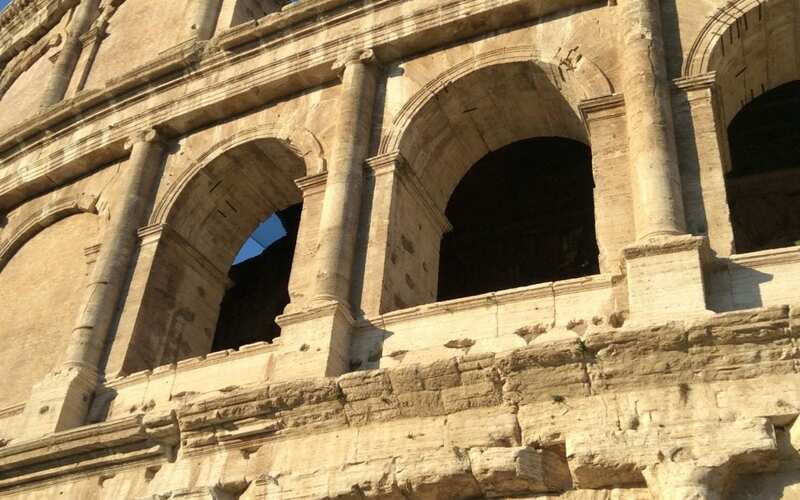 It is always said that it is almost impossible to get a second chance to make a first impression, and these have been our first impressions of Rome. The ancient cobbled streets are magnificent, albeit challenging underfoot. Road surfaces are certainly not smooth, nor level. I see many saloon cars moving as much as a tug in the Drake Strait. Most vehicles are tiny, and almost all bearing scars of parking attempts or interactions with other road users. Life for a car in Rome is certainly not an easy one. Breakfast in our little hotel was a wonderful exercise in human behavior – tiny rooms, too many guests jostling for a table, everyone keen to eat and hit the streets early. Some in their haste even had their jackets on inside out. We smiled at couples, beautifully dressed, with a photographer recording every moment in Rome. We commiserated with visitors who had clearly been pick-pocketed. Patiently we found our way through the hordes at the Fountain, and the Spanish Steps. Colosseum and early Roman ruins in the morning light were breathtaking, as is the War Memorial.